C.I. 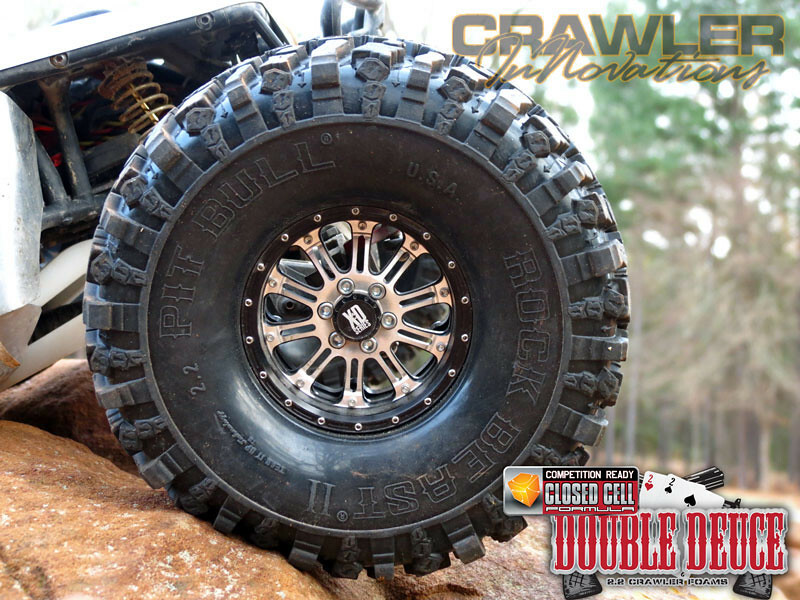 is now carrying Pit Bull Tire's, 2.2 Rock Beast 2 and the improved 1.9 Rock Beast which has a slightly thicker tire carcass to fight against tire punctures or rips. 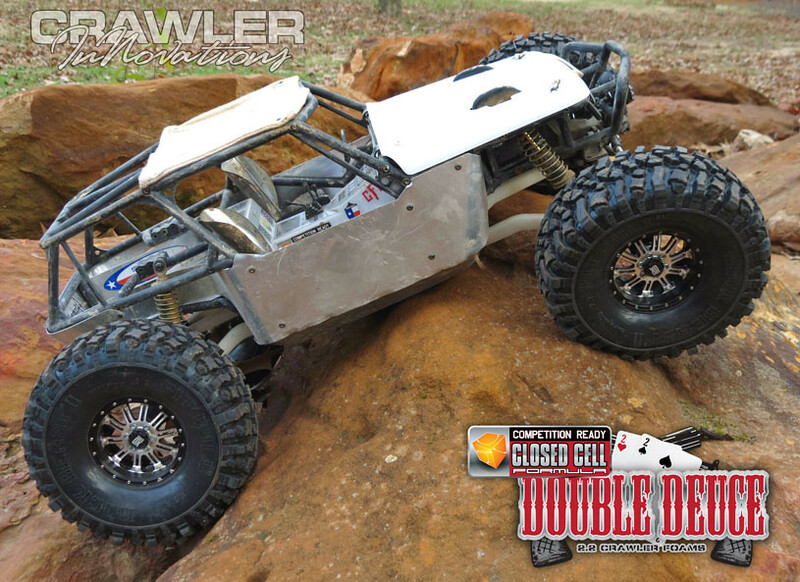 Give 20 people the same chassis & axles, and they'll build a crawler 20 different ways. Here is the C.I. Wraith with the Pit Bull Tire Rock Beast 2 and C.I. Double Deuce Foams. Vanquish Wheels which are actually 1" (even though VP advertise 1.2"). 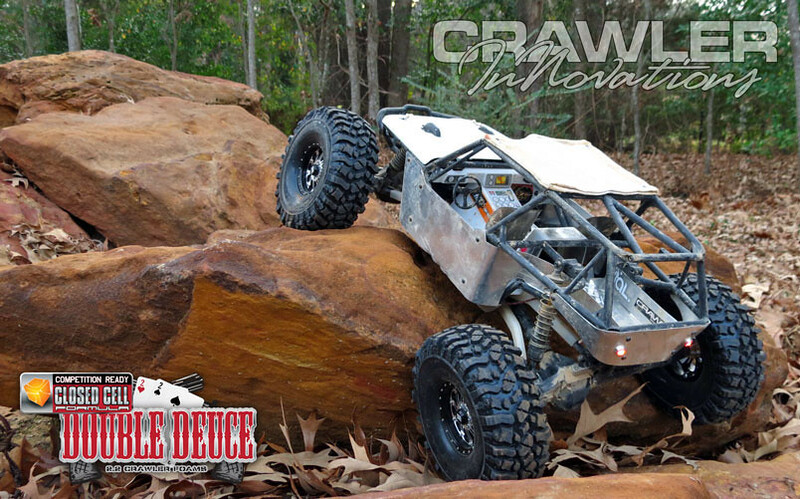 Foam Recommendations are based on the RTR weight of your crawler. 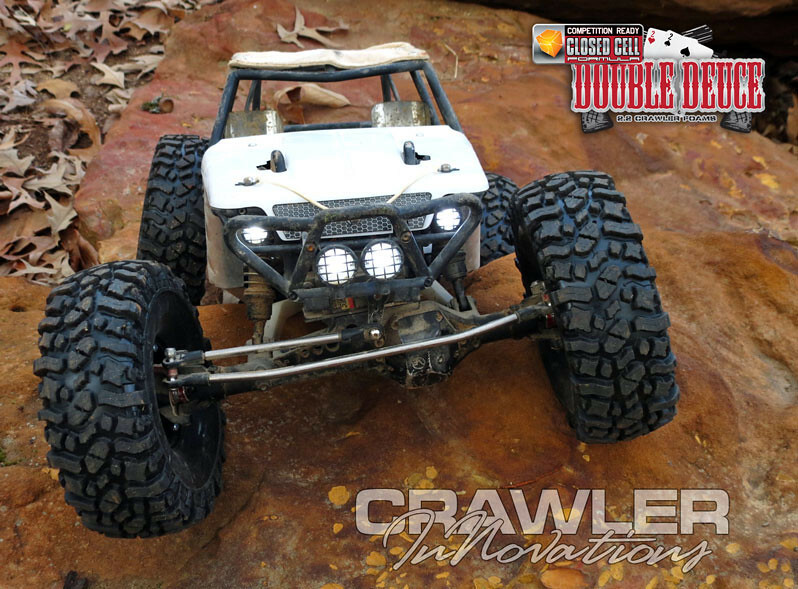 The heavier the crawler, the taller the inner you want to use. I got my tires and foams in yesterday took them out for the first time today and man there AWESOME I love how the foams make the tire soft but still have a stiff sidewall. These things are perfect on my wraith and thanks so much Eddie for the great product and exceptional service you will defiantly see more orders from me.